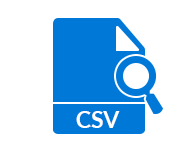 CSV Viewer tool allows users to freely read and view .csv files quickly. This software permits users to store the data in plain text. Each data is recorded in every line of the .csv file. This CSV file format supports through all spreadsheet and there are no file size limitations appended with it so a user can read .csv file accurately. 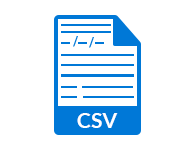 CSV reader handles any types of comma separated values file. It depends if a user handles the .csv file and may run large files into memory or CPU bottlenecks. 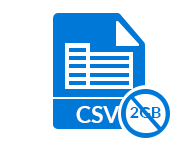 As per condition, this CSV viewer software has been tested on 32-bit Windows systems to open 2GB CSV file size limit which will exceed users maximum usable file size. Thus, by using the CSV reader software a user can view any sized CSV file quickly without any kind of data loss and failure. A huge number of efficient algorithms have been used to make the CSV viewer tool more reliable. It assures to maintain the integrity of entire record i.e., each record can be easily viewed without any changes. Each record comprises of multiple fields, separated by commas. It is possible only because of CSV file is defined as Comma Separated values. CSV file reader is designed in such a way that it renders two modes to find .csv file i.e., matches whole word only and match case. As per user requirement, to search the content among these two choices in proper format if required, and then a user must sort those multiple files in an efficient way without any consequences. Step 1 First, go to Start and select All Programs. Now, click on free CSV File Reader. Step 2 Next, choose Add File button and then, browse the path towards where a user .csv file is stored. Step 3 After that, Click on CSV file and press on Open tab. Step 4 Finally, the entire data of selected CSV files will be loaded on the Desktop. Is it possible to open CSV file without MS Excel 2016? Yes, the CSV file viewer is capable of loading all records from comma separated values, any type of file, which is having .csv file extension must be supported by our reliable software. Does the CSV file reader software require any supportive application to view CSV file from the list of Microsoft tool? No, our CSV file viewer is totally independent and it does not require any kind of virtual environment for its working to view .csv file. I am using Mac operating system on my personal computer system and want to view CSV file within it. Is your CSV viewer tool compatible with this Mac OS? No, our CSV file reader is only compatible with Windows and its all below versions. 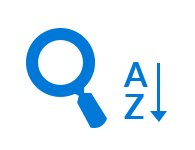 Moreover, it is mainly associated with Microsoft word application. Is there any limitation imposed on the product to restrict the size of .csv file? No, there is no file size restriction on the CSV reader software. You can open CSV file of any size without any limitation. Does the software generate an instant preview to sort .csv files? Yes, our CSV viewer software is capable of providing an option to sort & find CSV files and generates a kind of preview. Does the software ensure to maintain an actual integrity of my necessary files? Yes, we ensure that the integrity of data is always maintained by the CSV viewer tool. There is no data manipulation introduced by this tool. "CSV Reader tool helped me a lot to view CSV files effortlessly. It generated the preview of Comma Separated values file within a tabular form to maintain the records. No file size limitation feature is the plus point of the utility to read CSV files. Thanks to the development team for serving such an efficient and fast tool." "I really appreciate the work of the developers who developed CSV viewer tool. Moreover, the find and sort feature acts as a perk, as it helps to sort whole files in proper style. Now, I can easily find out the necessary files and sort its contents into a manageable form. It was a nice experience to work with this repairing tool. Thanks a lot."